William Raveis Legends Realty Group has acquired Hudson Homes Sotheby’s International Realty, increasing its presence in the key Rivertowns market of Tarrytown. William Raveis Legends is shifting its existing Tarrytown offices across the street to the larger Hudson Homes space at 38 Main St. The merger now brings the brokerage firm’s agent roster to more than 85 agents at offices in Tarrytown, Briarcliff Manor, Irvington and Hastings-on-Hudson, according to Marcene Hedayati, Broker and Managing Partner of William Raveis Legends Realty Group. Partners in William Raveis Legends are: Elvira Aloia, Mary Case Friedner, Phyllis Lerner and Karen Stroub. 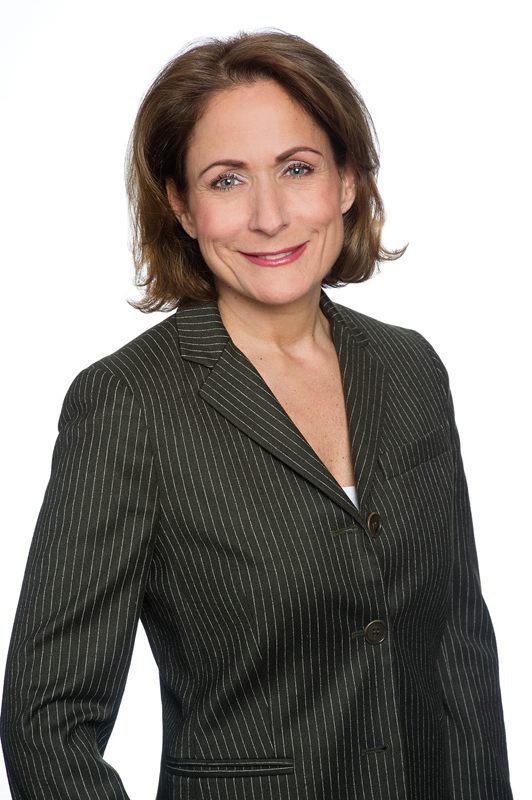 Patricia Neuwirth, former owner of Hudson Homes Sotheby’s International Realty, has joined William Raveis Legends Realty Group as an Associate Broker. Hedayati manages all four Legends’ office locations. “We are excited to join forces with Legends. We have worked closely with Legends for many years and share the culture of respect for and dedication to clients.” said Neuwirth, who will be staying on to support the transition of her agents. William Raveis Legends Realty Group opened its Briarcliff office in 2011 and its Irvington office in 2012 with the acquisition of Hudson Shores Realtors, formerly owned by long time resident and admired business entrepreneur Bernice Gottlieb. It opened its Hastings-on-Hudson location in 2014. Prior to its affiliation with William Raveis Real Estate in January 2011, Legends Realty Group existed as an independent brokerage with 19 sales associates. William Raveis Real Estate, Mortgage & Insurance is the largest family-owned real estate firm in the Northeast and the eighth largest real estate company in the country. Its website, raveis.com, draws more than 10 million visits annually and includes more than 200,000+ MLS listings in Connecticut, New York, New Jersey, Massachusetts, Cape Cod, Rhode Island, New Hampshire, Maine, Vermont and Florida. Additionally, its membership with Leading Real Estate Companies of the World, the largest network of independent brokerage firms, allows them to provide both national and global services. IRVINGTON, N.Y. -- Pamela Eskind has joined William Raveis Legends Realty Group Irvington office. Eskind has devoted the last 16 years to selling real estate and has earned her position as a consistent top producer. Eskind began her professional career in the fashion industry, where she worked in sales for more than 20 years with such top designers as Calvin Klein and other couturiers. After taking a short sabbatical, she decided to try her hand at the real estate industry and has never looked back. She is an accredited buyer’s and seller’s representative, which allows her to see the industry from all perspectives. With the new global economy, she has the advantage of being trained as an international property specialist as well, giving her the added edge to deal with today’s buyer and seller. A winner of multiple awards from the Board of Realtors and her company, Eskind is considered one of the top real estate agents in Westchester County. Eskind has lived in Irvington for the past 22 years with her husband, son and dog, Lexi. She serves all of the Rivertowns villages, including Ardsley, Dobbs Ferry, Hastings, Tarrytown and Irvington. This full service branch located near the village center will benefit our home buyers and sellers by enabling them to work with seasoned, full time real estate sales professionals intimately familar with the Hastings On Hudson, Dobbs Ferry and Riverdale real estate market places. SHELTON, Conn.--(BUSINESS WIRE)--Chris Raveis, managing partner of New York for William Raveis Real Estate, Mortgage & Insurance, the largest family-owned real estate company in the Northeast, is pleased to announce the firm’s newest sales associate additions. Most significantly, since January 2015 William Raveis has added 28 experienced, licensed sales associates to their Westchester County offices, who have a total of $112.5 million in annual sales volume. Of these, 25 of the 28 agents came from companies ranked in the top 5 for market share in Westchester County, with the remaining three being newly licensed sales associates who will be going through the firm’s training program. In Yorktown, Raveis has added Michele Rowell, Carol Harman and Susan Mirwis; Lisa Berliner in Katonah; Pam Eskind in Irvington; and Joanne Milch in Chappaqua. Additionally, the firm has added a significant number of associates in Armonk, including: Stacee Lieberman-Massoni, Claudia Costa, Lisa Koh, Lauren Goldenberg, Angela Schuler, Jeanne Looney, Olga Chama, Stacy Miller, Diane Freedman, Stacey Sporn, Carol Berkowitz Beck, Robyn Eckhaus, John Scialdone and Kristen Basil. Raveis has also brought on Felicia Frey, Janey Varvara, Stephanie Dowicz, Lorraine Landau, Susan Slotnick, Lisa Klein, Angela Manson and Jessica Anfang to lead the firm’s new Scarsdale office, which is slated to open this summer, along with an additional location in Somers. William Raveis has 3,500 highly trained sales professionals in 110 offices in Connecticut, Massachusetts, New York, Rhode Island, New Hampshire, New Jersey, Maine and Vermont. IRVINGTON, NY - The company recently opened it's third state-of-the-art office location right in the middle of the picturesque Hudson River village of Irvington, NY 10533 at 68 Main Street (formerly Hudson Shores Realtors). The addition of this centrally located and well established full service branch will benefit our home buyers and sellers by enabling them to work with seasoned, full time real estate sales professionals intimately familar with the Irvington, Ardsley, Hartsdale and White Plains real estate markets. BRIARCLIFF MANOR, NY - The company just recently opened it's second state-of-the-art office location in the affluent Westchester County village of Briarcliff Manor, NY 10510 at 1197 Pleasantville Road. This full service branch located in the village center will benefit our home buyers and sellers by enabling them to work with seasoned, full time real estate sales professionals intimately familar with the Briarcliff Manor, Ossining, Millwood and Pleasantville real estate market places. TARRYTOWN, NY - Recently the company moved it's state-of-the-art office from Sleepy Hollow, NY 10591, 358 North Broadway to Tarrytown, NY 10591 at 37 Main Street, right next to Main Street Sweets Ice Cream Shoppe. The advantageous move will benefit our home buyers and sellers as well as our seasoned, full time real estate sales professionals due to it's high visibility and central location. Please see any of our full time agents for all of your real estate needs in the area. All of them are intimately familar with the Tarrytown, Sleepy Hollow, Pocantico Hills and White Plains markets, as well as many other neighborhoods throughout Westchester County. Some of our agents are also bi-lingual: Besides English they speak Spanish, Portugese, Italian or German. SLEEPY HOLLOW, NY - Chris Raveis, President of William Raveis Affiliates, recently announced the alliance of William Raveis Real Estate with Legends Realty Group, an independent brokerage in Sleepy Hollow, New York. The addition of the Legends office to the William Raveis network shows their continued commitment to grow its affiliate program throughout the northeast. Legends Realty Group is the fifth company to join the William Raveis Affiliates network. William Raveis Affiliates also offers franchise opportunities to existing and start-up real estate organizations in select markets. Marcene Hedayati remains as the Broker and Managing Partner of the new William Raveis Legends Realty Group. She, along with her four partners, Elvira Aloia, Mary Case Friedner, Phyllis Lerner and Karen Stroub, are looking forward to the opportunities afforded by this union. Prior to the affiliation with William Raveis, Legends Realty Group existed as an independent brokerage with 19 sales associates. During that time and since their inception in 2007, the group held number one market share in Tarrytown and Sleepy Hollow. Hedayati is looking forward to phenomenal growth with the backing of William Raveis Real Estate, a highly respected, family-owned real estate firm. "The partnership with William Raveis gives us the ability to grow and expand into areas that would have been more difficult otherwise," she said. "We will have the best of both worlds. We will be able to continue nurturing our current business practices and methods that have distinguished us from the rest and at the same time, enjoy the many tools and systems that you can only find in a larger company, not to mention their exceptional education program and second to none referral network. Most importantly, we are fortunate to have found a company that shares our philosophy and culture." William Raveis Real Estate, Mortgage & Insurance is one of the top companies in the nation. It was recently ranked in 2009 by sales volume in REALTOR® Magazine as the #1 family-owned real estate company in the Northeast and the 10th largest real estate company in the USA. The innovative firm is nationally recognized as an industry leader in technology, marketing and REALTOR® education. Its award-winning website, www.raveis.com, draws more than 10 million visits annually and includes more than 200,000+ MLS listings in Connecticut, New York, Massachusetts, Rhode Island, New Hampshire, Maine and Vermont. In 1974, Bill Raveis opened a one-man operation above a grocery store in Fairfield, CT, called William Raveis Real Estate. Today, the company successfully operates 48 offices in CT, consistently having #1 market share in Fairfield County and in towns throughout the state. A 2009 and 2010 Commercial Record poll voted William Raveis the "Best Real Estate Company," a testament to exceptional achievements in the state. The company entered the Massachusetts marketplace in 2003 and, according to the 2009 closed sales volume in the Multiple Listing Service Pin, is now the largest independent brokerage in that state with 22 offices. William Raveis recently expanded into New York and presently has offices in Rye, Harrison, Katonah and Chappaqua in Westchester County. Presently, the firm has 2,700 highly trained sales professionals and 75 company-owned and affiliate offices in New York, Connecticut, Rhode Island and Massachusetts. William Raveis offers extensive home-buying and selling services, including mortgage and insurance divisions. Since its establishment 26 years ago, William Raveis Mortgage LLC has closed more than $6 billion in mortgage loans and is rated in the top 1% of all FHA lenders in the United States. William Raveis Insurance provides competitive proposals for life, home, flood, automobile, excess liability, valuable items and other personal insurance.